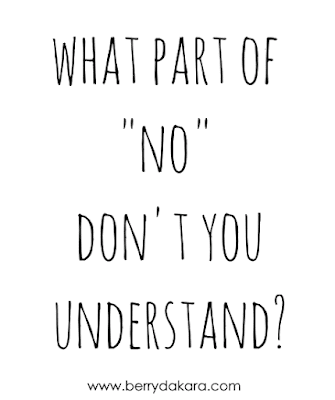 Are you one of those people who finds it hard to say no? You accept every invitation that comes your way. You never ever decline running an errand or doing a task that someone asks you to do. Even when you're stretched thin, you just want to please everyone around you, so you agree to everything. I kinda used to be that way. In different aspects of my life, I would agree to almost anything that came across my table. As I've gotten older, it's gotten easier to say no. I generally ask myself, "What's the worst that could happen if I say no?" If it's something I can live without and not bother my pretty head about it, chances are I'll decline. When it comes to blogging, things can be tricky. Bloggers are always looking for brands to collaborate with - it makes us look more "professional" or successful. That is, until you find out that a lot of brands are not willing to actually compensate you. 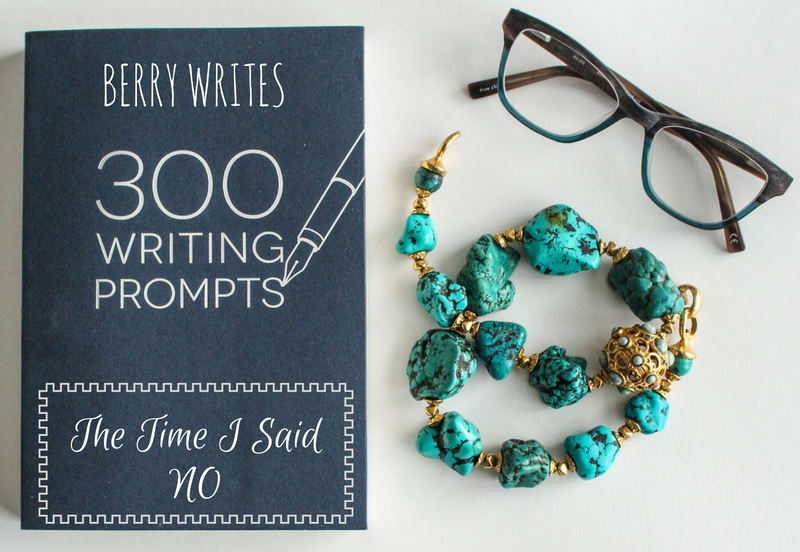 Let me tell the short story of a time I said NO to a brand's proposal. 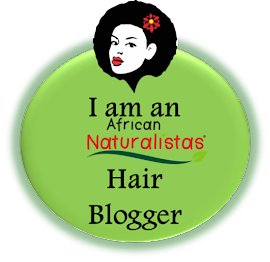 About a year or two ago, I got an email from a hair product brand - I believe the owner is Nigerian but lives in the US. She wanted to send me her product to try out in exchange for a review post, and if I remember correctly, a giveaway for my readers. This was at the time when I had read two different posts on other Nigerian Lifestyle blogs about how brands undervalue and underrate bloggers, so I was already feeling some type of way. I asked the brand owner for more information, while doing my own research on the side. What I found was not appealing. 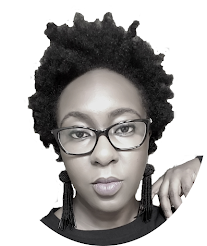 The company had gotten off to a very rough and rocky start, and there were whispers of "scam" being thrown around the natural hair blogs in America. Based on that information, I said NO to the brand owner and kept it moving... that is until I came across the same brand earlier this year on Instagram with hundreds of thousands of followers!!! Apparently, it really was just a rough START, but she kept moving along and seems to be doing well now. Sometimes I wonder if I missed a big opportunity, and whether I should have said YES after all. Tell me about a time YOU said No to anyone, concerning anything. Its good you did a background check about the company and you acted based on the Information you got from the background check. What if the company was really into scam and you accepted to do it dor them? More troubles for you. But as they say sometimes, don't judge a book by its cover. Nice post by the way. Thanks Brenda. I'll visit your blog today. Nothing is coming to mind at the moment. But I've totally learnt it's okay to say NO! Oh yeah. And nobody should feel bad about it. We should all reserve the right to say no. Ive said no to a brand that wanted me to put up a "good" review on products I had used and wouldnt recommend based on my experience. They were willing to pay but naaah. I have the biggest problem with saying No as tough as I might look on the outside. Lol. I always say it but the guilty conscience that comes with it is what disturbs me. I feel like that too.. What if I'm missing out on something great that's might come out of it and all but I've learnt to allow my mind and heart guide me. Loving the Berry Writes segment. Don't Look Into That Mirror! 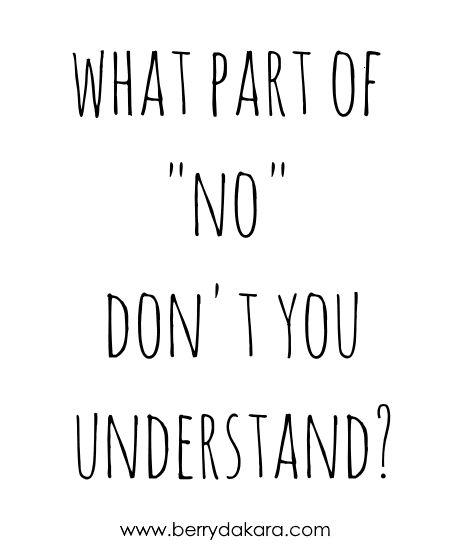 I don't think you should feel guilty about saying no, especially if it isn't harming the other person. Sometimes you're over-extended, or too busy, or really just don't feel like it and I think that's okay. It's YOUR prerogative. These days, I'm learning that you can't just say yes to everything. Unless you want to make your life miserable. I think the company's offer was fair enough. A review in exchange for products and a giveaway for your readers doesn't quite sound like a scam to me. Except there's something more to it which I don't get. Learning to say no is essential! Hey Precious. The offer was fine, but in my research of the company, they had a bad start where customers were very upset with them and unable to get their money back when they didn't like the first version of the product. I think I've gotten a lot better with saying no, thankfully. I had to learn the hard way that you give less than your best when you take on too much at once. You will also be doing the person you say no to a favour, to be honest. I probably would have made the same decision you did, Berry. Better to be safe than sorry o! Thanks Ify. I definitely agree that you don't give your all when you're overstretched. Better to say no than do poor work, right? Professionally, I've not had to say a lot of 'nos' but personally, I say it a lot. As a matter of principle, no's my default answer. I'd rather say a 'no' and then review it to a 'yes' than to say a 'yes' and be stuck with it cos no one likes to hear a 'no' after you've given a 'yes'. Myself inclusive, it can really be disappointing. Oh wow, I've never seen it like that - saying no first, before graduating to a yes. This is so relatable, my mom says this about me all the time. I've also learnt to say 'no' as I've gotten older, and I have found that I am happier. I think I say 'yes' to make others happy and not hurt them but it hurts more when you have to disappoint them cos you can't. Also, the decision you made to say 'no' was a good call. Better safe than sorry, and like Linda Kris said, better to review a 'no' to a 'yes' than otherwise. Good job on the blog Berry Dakara, it's quite interesting and your Instagram page layout is quite genius, lol. I think it's okay to say yes to others, as long as you're not hurting yourself or it's not having a negative impact on you.